Your body needs water, so drink that sh*t! I have so much difficulty drinking enough water. But everyday for the past week I’ve had about 100 oz. and while I am not super proud of my eating habits this past week, I am proud that I’ve kept this aspect strong. I do believe it’s helped me sleep a little better at night. I usually run very hot at night. It’s uncomfortable for me and it’s uncomfortable for Chris. 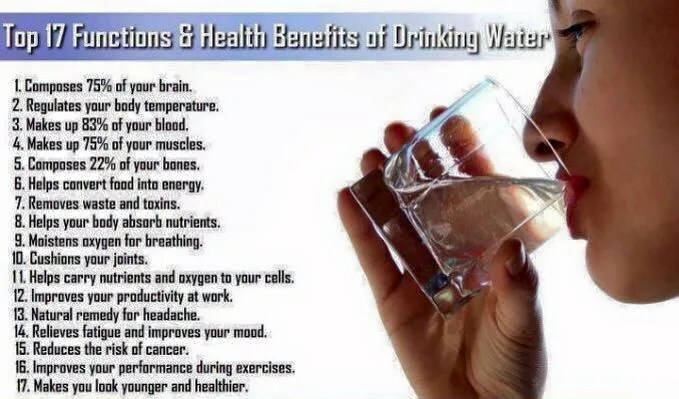 But making sure I get enough h2o is going to help in so many aspects. 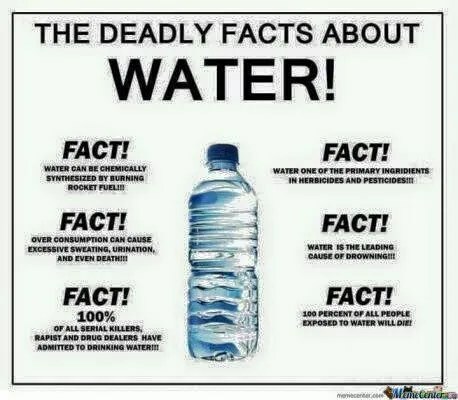 I admit, water has become an acquired taste. I used to drink the crap out of Crystal Light. Which I argued was better than drinking soda. And it was at the time. But I challenged myself last year to cut artificial sweeteners and haven’t opened a crystal light pack since. Once in a while, and especially when I was weaning off sweeteners, I created some infused water recipes that were great tasting and really good for you. If you are looking for ways to increase your water intake, my recipes are really simple. My two favorites were citrus and cilantro and a combo of ginger, cucumber, lemon, and mint. Put the ingredients in water and let them sit overnight in the fridge. Pour yourself a glass of delicious and beneficial goodness! Most days I have to force myself to finish off my 100 ounces. I’ll forget to drink some every hour. I’m not allowed to have water on my person all day so I have to remember to run back once in a while and drink a few gulps, and it’s starting to slowly become something of a habit. But it IS becoming a habit. And what a good one it’ll be! How do you ensure you drink enough?